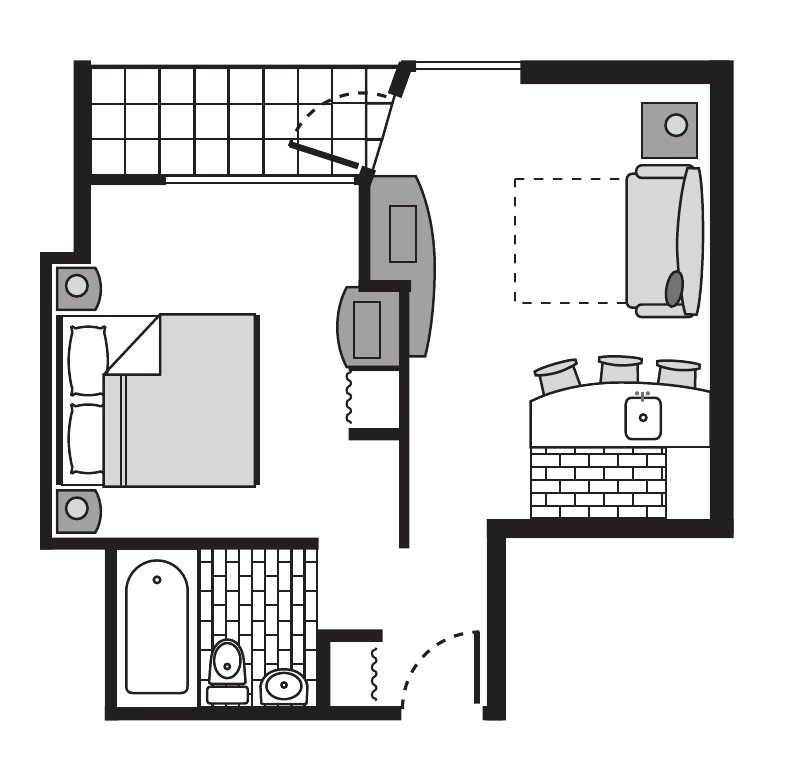 Rest like retro royalty in this two-room suite featuring 1 King Bed with a queen sized sleeper sofa in the living room. 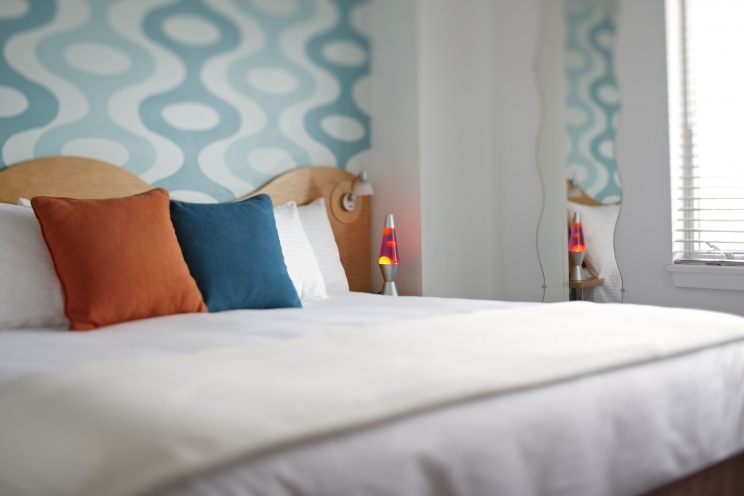 Enjoy amenities including two 32" flat screen TV's, DVD player, iron & board, hairdryer and a retro lava lamp. 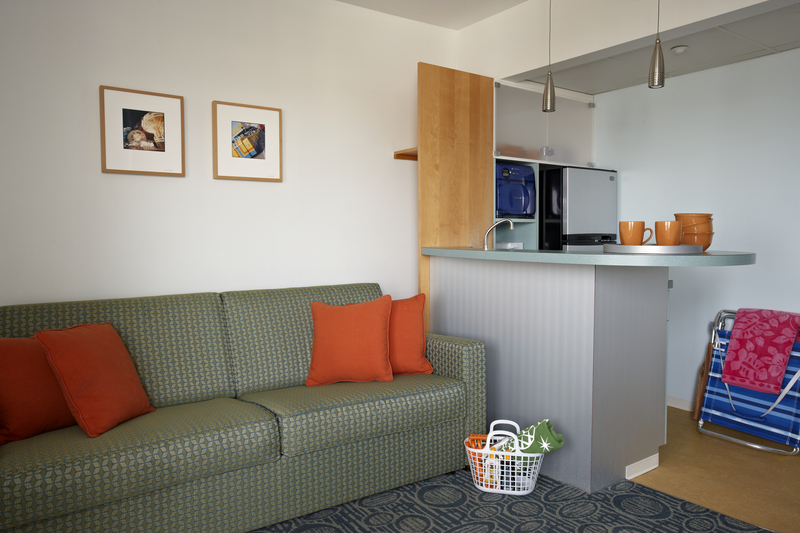 The room also includes a small kitchenette with refrigerator, microwave, coffee maker, toaster, sink and cabinet space. 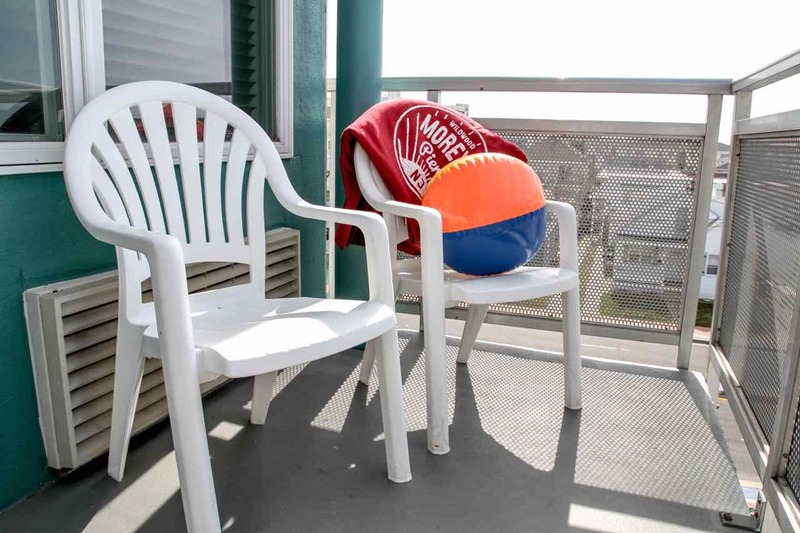 These rooms also feature a private balcony with a view of Morey's Piers.